Find out where the deceased family member resided at end of her lifetime. Ask relatives, check the obituary or search property records at the county recorder's office. Generally, the court in the county of residence has probate jurisdiction. Determine that court's procedure for accessing probate information. Large counties often maintain Internet sites or dedicated telephone lines with updated probate information. Use these services to confirm that the court probated the will of your family member. Go to the courthouse with information about your family member, including the full name and date of death. Locate the window for the clerk managing probate files. In some courts, one office handles all civil files; others keep probate records with family law clerks, and still others maintain a separate probate section. Give the clerk the information identifying your deceased family member. If the file is active, the clerk will generally be able to find it for you. Look through the file. Courts generally organize documents in the order in which they were filed; the last will and testament is among the first documents the executor files, and is often attached to a petition for probate. Inspect the remainder of the file to determine whether the court invalidated the will or if the heirs contested it. If the will is invalid, the executor files the next latest will for probate. 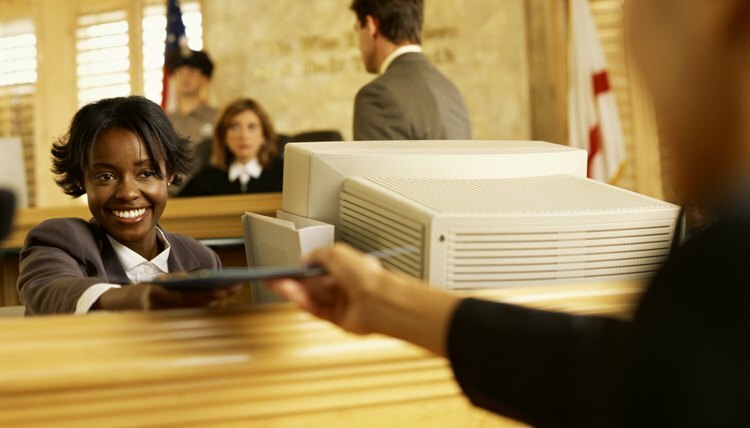 Identify those documents you need and ask the court clerk for copies. Pay the small copying fee. Use the same procedure to locate closed probate files if they are fairly recent. Ask the clerk how to obtain older files; most courts archive older files, and you order them in advance to view them. Some jurisdictions store old wills in large folders, organized either chronologically or alphabetically. Look through the appropriate folder for the will of your deceased family member. Arrange copying in the manner described above for active probate files.